Update, November 14: A new report suggests that Telltale’s recent layoffs can be blamed on poor management and severe crunch time. Telltale Games laid off a quarter of their 400 employees last week, after appointing a new CEO two months beforehand. While the company found tremendous success with its defining take on The Walking Dead, their subsequent churn of games saw diminishing returns over time, even as they started taking on more and more new projects. 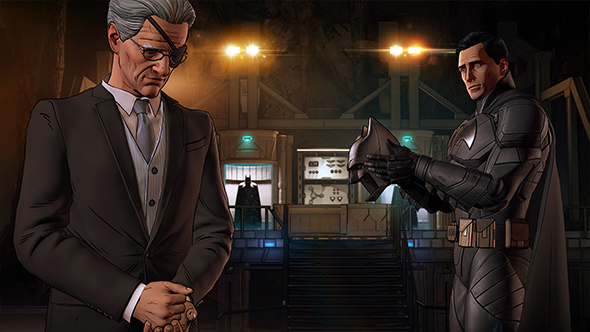 While the teams on each of Telltale’s numerous projects were encouraged to work as quickly as possible, sometimes major rewrites – apparently as big as 80% in one instance – could be handed down at the last minute from people higher in the company, demanding major crunch time to push toward slipping release dates. That churn also left little time for improving the core technology powering Telltale’s games, and the dated engine and frequent bugs became a common source of complaints against the company’s later releases. USgamer concludes from their sources that specific parties in management were responsible for these problems, and that they were among those affected by the layoffs. The entire report is well worth your time, and it does present some hope that Telltale’s new direction can prove a positive one. Original Story, November 7: The episodic adventure developers at Telltale have been hit with a wave of layoffs as the company undergoes “restructuring.” 90 employees will be affected by the decision, representing a quarter of the company’s workforce. While the company intends to focus on fewer titles in the future, the currently announced projects are planned to move ahead as scheduled, including current and upcoming seasons for Batman, The Walking Dead, Minecraft: Story Mode, and The Wolf Among Us. Telltale plan to shift development “over to more proven technologies that will fast-track innovation in its core products.” The company’s tech has proven a limiting factor for many of their recent games. While they initially found footing in licensed adventure games based on properties as far-ranging as TV series CSI and graphic novel Bone, Telltale rose to prominence by leading the return of traditional adventure games with three seasons of an episodic Sam & Max revival. Their greatest success came when they fully dropped the puzzle elements in favor of a narrative-driven adaptation of The Walking Dead, and that formula has driven almost every title they’ve released since.